8 Food Items You Think Are Healthy But Are Actually Dangerous For Your Health! Eating healthy is something we all intend to do. What if the products you think are healthy are not that nutritious? Some of the things we consider healthy are actually dangerous for our body. Here are a few such food items. You may think that fruit juices are very healthy for you, but in reality they contribute nothing to your body. Packed juices are never healthy, even fresh fruit juices are mostly water and sugar. There is no fibre content and most juices are devoid of the actual good stuff. It is always better to eat fruits than have juices! 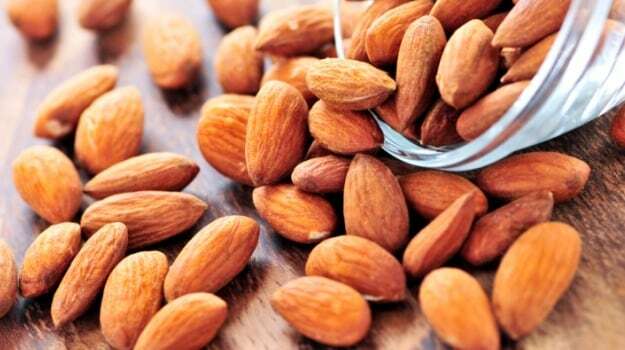 There are two types in almonds, namely sweet almonds and bitter almonds. The bitter ones supposedly contain large amounts of hydrogen cyanide. It’s said that even eating just 7 – 10 raw bitter almonds can cause problems for adults, and could be fatal for children. Most highly processed breakfast cereals are not healthy. They’re often loaded with sugar and refined carbohydrates. Then the manufacturers fortify them with some synthetic vitamins and put tiny amounts of whole grains in the mix, then market their products. White bread or wheat bread does not make as much a difference as you would like. It is true that wheat bread is better of the two choices, be careful when you buy it as not all of them maybe 100% wheat breads. Some producers add white flour to the wheat flour! Rice is refined and hence leads to sudden rise in sugar which will make you sleepy and lazy. It is better to avoid rice, but if you have to eat it then it is better to be eaten for dinner. Curd leads to mucus formation and hence can lead to cough and cold, if you eat it at night. It is better to have it during the day. It is more beneficial to eat pulses and beans during the day because they may cause gastric disturbances if you eat them at night! You should never have coffee at night if you intend to have a good sleep. Coffee has high caffeine content which will mess with your sleep and also cause indigestion issues. The next time you plan on changing your diet, keep these in mind. Not everything is as healthy as it seems!